On The Boat is an interactive original series produced by The Wild Honey Pie, filmed this year at Newport Folk Festival in Rhode Island. 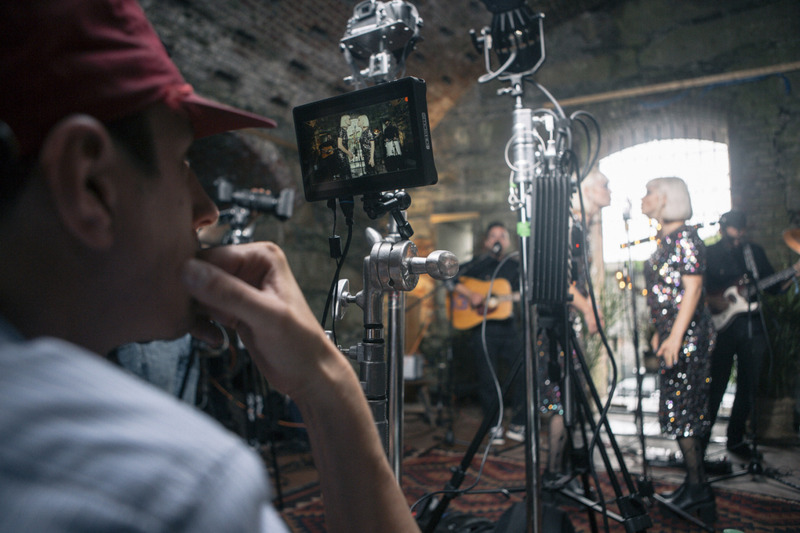 Each episode features a different band recordingfrom within the festival grounds: either on a boat, on the dock, or inside the walls of Fort Adams. Lucius were placed within the atmospheric environment of the latter, and offered up renditions of "Go Home" and Buddy Holly's "It Doesn't Matter Anymore". Absolutely beautiful, sonically and visually. Photo above courtesy of Courtney Dudley, see more from the shoot here.